Easily connects two bucket dollies for easier washing! 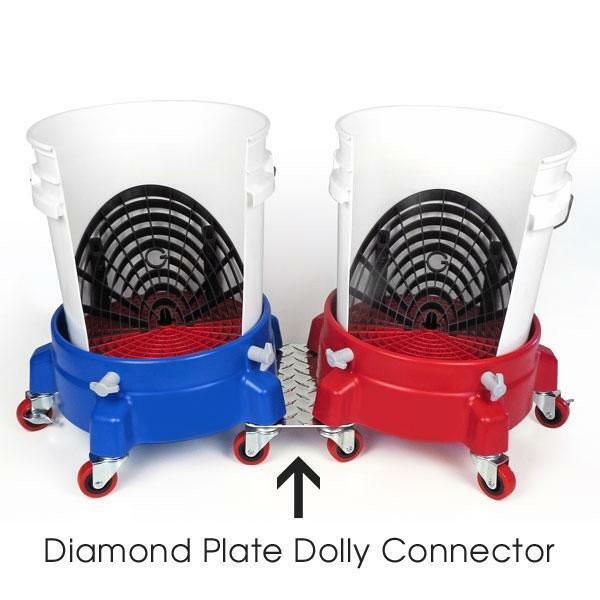 The Grit Guard Diamond Plate Dolly Connector will allow you to connect two DI Accessories Bucket Dollies together, for one convenient wash system! If you have ever used a bucket dolly, you know it makes it much easier to maneuver your wash buckets around your vehicle during the wash process. No more lugging around that heavy wash bucket! But as a detailer, you know that one bucket is just not enough and if you have to use two or more buckets, who wants to lug them separately around the vehicle. You then attach the buckets to the bucket dollies and you are rolling them around so free and easy, you think to yourself, how did I ever live without these. But you soon realize, that you have to wheel two buckets around separately and that can be a pain as well. One bucket is rolling down the driveway as you move the other, you have to move both buckets multiple times, it is just a lot of work that is not needed. Now comes the Diamond Plate Dolly Connector. It looks so simple, but yet it is such a life saver. Just flip over your bucket dollies, pop of two wheels on each, set the Diamond Plate Dolly Connector down and pop the wheels back in. It is that simple and you'll love the results! You now have two dollies that are connected, making it one easy to use washing system. When you move your wash bucket, your rinse bucket follows, saving you valuable time and effort during the wash process. This connector is made of durable aluminum that will hold up to the rigors of everyday use. It will not interfere with the function of the wheels and it is rust resistant against water, soap etc. The Grit Guard Diamond Plate Dolly Connector works great with the DI Accessories Bucket Dollies and the DI Accessories Buckets (3.5 Gallon and 5 Gallon). While you are at it, do not forget to pick up the Grit Guard Inserts and/or the Grit Guard Washboard for the complete washing setup. 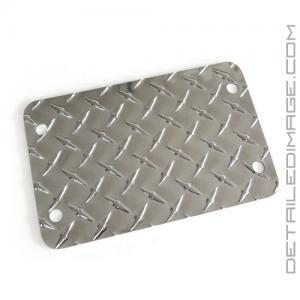 So what are you waiting for, pick up the Grit Guard Diamond Plate Dolly Connector and save yourself some time and effort when washing your vehicle!